The Mason Shaker is a good idea. So much so, that creators Eric Plum and Josh Williams raised $74,738 after asking for $5000 on Kickstarter. They are well on their way to getting the mason cocktail shaker in every restaurant bar and home across the US, but more importantly, (and fittingly) the South. Southern boys, Eric and Josh met as Freshman at UVA and have been best friends ever since. 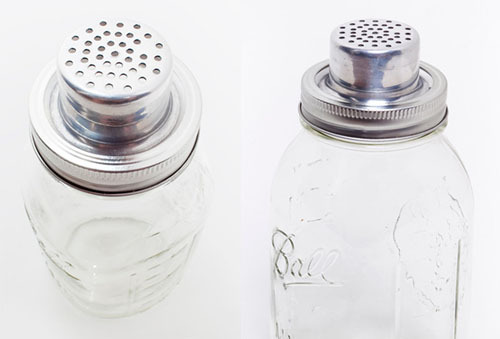 With a combined culinary and design background, they came up with the idea of the Mason Shaker. As they state on their Kickstarter site, "The concept for the Mason Shaker was developed from an obsession with vintage kitchenware (Josh) and an uncanny ability to fashion impromptu drinking tools at a moment's notice (Eric). After lots of testing and prototypes, they decided on the screw top, which fits a standard Ball jar. Good packaging goes a long way and I love to see that the design perfectly fits the rustic, southern cool of the mason jar.